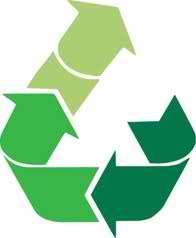 Don't just recycle, UPCYCLE! Turn that trash into treasure! Green Avengers are proud to team with nature's vision fundraising to not only raise money for our school but also for the World Wildlife Fund and the Humane Society. Check our the link below or see one of our members to order. Happy Shopping!!! *** Make checks payable to Henry County Middle School, you may put Green Avenger fundraiser in the memo. Money is due at the time of the order. All orders will be due by November 16th and then shipped straight to the buyer. You should have your items by no later than October 18th, just in time for Christmas. Give gifts that give back!!! !